This demonstrates a methodology and some of the associated technologies I’ve used to create complex and flexible contract generators, proposal generators, and other document assembly systems. 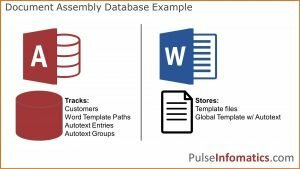 * SQL Server: For simplicity, this demonstration uses Microsoft Access as the database. However, I normally run these systems on SQL Server or SQL Server Express. I’ve also built systems using the same logic that connect to Oracle, SAP, Quickbooks, Sage Accounting, and other systems. 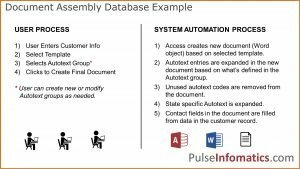 I’ve created custom document assembly systems for several large insurance companies, a couple of the largest law firms in the world, and for a number of other clients. Most recently, a Payroll Company hired me to build a custom document solution to handle specially formatted reports to be sent to their clients. I realized upon completing that system that I’ve never demonstrated document assembly on this blog. This remedies that. I will be working to cleanup the code so I can upload the various components. I quickly hacked this together from a client’s system and want to ensure no vestiges or proprietary information remains before I publish anything. The following is a video example. Below that are the four system outline slides from the video. Finally, I go through some of the specific data elements and system process specifics. This is a simplistic database. I’m storing just the information needed to demonstrate the system and nothing else. -AText_cd (links to AText_uno)This table joins the AutoText Group table to specific AutoText entries – allowing entries to be included in as many groups as needed. Below I’ll describe how the system handles replacing codes with AutoText. In this particular example I also include a code identifier of: “@STATE” for a single state specific block of text. There are also bracketed contact information fields such as:[CompanyName], [Street], etc. The global template for AutoText entries is stored in the Word Startup folder. It contains all the AutoText entries necessary for the system. In more complex systems, I’ve created multiple global templates and wrote a library/catalog routine to rebuild the entries after they are edited. In the insurance world, contract analysts maintain specific libraries. In the legal industry, I often work with associate attorneys and paralegals for this function. As indicated, a naming convention is created that best reflects the library of language. In the insurance world, I used a two character prefix, a 3 digit section, and a two digit suffix specifying an iteration of language of the three digit section. BH.025.00 & BH.025.02 might both be the same section (025) of Behavioral Health (BH) language. With the suffix, (00) the base language and (02) an iteration with a slight change. 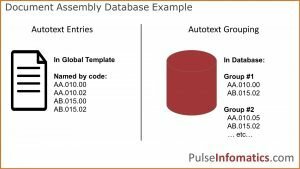 When the process runs, the AutoText entries in the selected AutoText group are located and their code identifier prefix changed from “@:” to “@U:”. After all included codes are identified as above, a global wildcard search and replace removes the unused codes. A second pass through the document searches for: “@U:” – deletes those characters, selects the following 9 characters (which highlights the auto-text entry), and inserts the associated AutoText. The state specific code mentioned above is located and the associated AutoText inserted. Finally, the bracketed contact information is replaced. 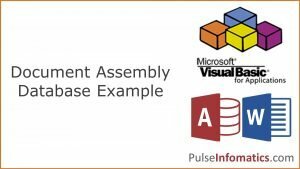 This is a considerably simplified but representative example, of how much more complex contract and proposal assembly systems have been implemented. Based on the business case and workflow, you can see how a highly flexible and maintainable system can be built. If you have questions, do not hesitate to reach out. 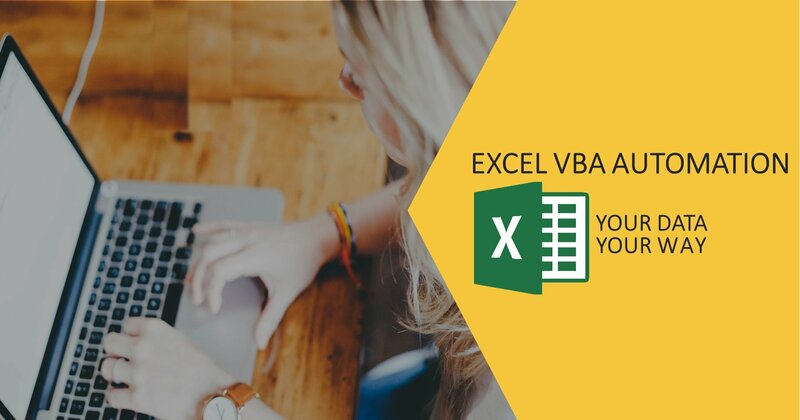 Posted in Consulting, Microsoft Access, SQL Server, Tips and Tools, Video and tagged automation, document assembly, VBA, Visual-basic for Applications.